Is The Free Hemingway App Or Desktop Editor Right For You? Can you improve your writing with the Hemingway app? Clearly named after Ernest Hemingway, the Hemingway editor is a popular free writing tool. Compared to other grammar and spelling checkers and writing software it is a simpler alternative. There is a desktop version available for Mac and PC, which is quite cheap. But most users prefer the online free version writing editor. Like all free writing tools, there are some compromises. So how well does the Hemingway app stack up? When you first go to the Hemingway app page, you will land on the editor screen as in the image below. It is easy to see why it is sometimes called the rainbow editor. The one small annoyance for me is that you need to select all the demo text and delete it and then paste in your piece of writing to get started. A clear screen would be more convenient, but then again, perhaps the rainbow of colours is more appealing to the eye. But once you paste in your text, you can get started on improving your writing. Alternatively, you can use the app as a simple distraction free word processor. Select the Write mode tab in the top right corner. Once again, you need to select all the sample text and delete it before you can begin. But once you start typing or have pasted your text, you can switch between write and edit modes to work on your writing. Most free web-based apps have a word limit or around 2-3,000 words at most. If this app has a limit, I couldn’t find it. I copied and pasted a full novella of over 20,000 words into the app, and it accepted it without even a small lag. All my text appeared instantly, along with the results in edit mode for reading level, grade level, reading time, word count and suggested corrections and improvements. In the help section for the app it says, Hemingway makes your writing bold and clear. As you can see by the five coloured recommendations for writing style in the image, the app is concentrating on clarity. Another way to look at it could be to think that clarity really means simplicity. For a blog post that is indeed a valid aim to have. But for fiction writers, maybe not so much. However, for any form of writing, you can benefit from the suggestions the Hemingway editor gives you. The main focus is on sentence structure, with the red highlight referring to sentences that the app thinks are very hard to read. In my testing, the number of sentences noted as very hard by the app was often similar to those classed as hard to read. So I am not sure the app notes a lot of difference between sentences that are hard and very hard to read. But it is a useful tool to help find long sentences quickly that might hinder clarity. By far, the best use for the app is in locating passive voice phrases so you can replace them with active voice, and highlighting adverbs. It is a quick, free and easy way to help you rid your text of most of these occurrences. If you are writing blog posts or content articles, it is good practice to keep adverbs and passive sentences to an absolute minimum. The best features of the app for me are that it accepts a huge word count without a problem and that it is a simple and efficient way to find the two most common clarity of writing flaws, which are the overuse of passive and too many adverbs. With the free version, there is no facility to save or export your work. It is a considerable downside. When you are working online, a lot can and will go wrong. Working on a long text in this app is like being a trapeze artist with no safety net. One small online glitch and all your revisions and hard work are gone. If you want to be able to save and export, you will need to pay for the desktop version. Another annoyance is that there is no basic spell checker. It makes using the app as a word processor in write mode a futile exercise. But as you can see by the image below, you can get a spell check if you use the spell checker in the Chrome browser. While the app uses slide-over popup hint boxes, there is little more you can do with them other than omit adverbs. But once you click omit and you remove the adverb, there is no undo function. All other hint boxes are only that, hints. So you need to re-write each and every phrase. There are no hint boxes for sentence length. The Hemingway app in either the free or paid versions is not a grammar checker. It is a simple writing style checker that focuses on only very elementary elements in the writing process, which are basically, long sentences, adverbs and the passive. That might be okay for a quick check of a 500-word blog post or school essay, but for working writers, the Hemingway Editor doesn’t have very much to offer. There are far better choices that do a lot more to help you check and improve your writing. My first choice for a free writing checker for style and analysis would be ProWritingAid. The free version using a Chrome extension offers a lot more than the Hemingway editor, including a robust spelling and grammar checker. If you are an author or writer of long-form articles, ProWritingAid is feature rich and one of the best tools around to improve your writing style and accuracy. For many more advanced features, the modestly priced premium version is an excellent tool for serious writers. You can read our full review of ProWritingAid that gives you much more in-depth information. Grammarly is by far the most popular online grammar checker. For a good reason too. It works like a charm. 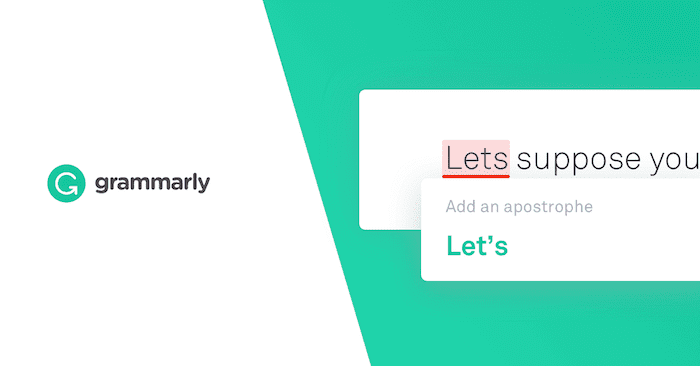 You can use Grammarly for free with Chrome, Safari, and Firefox browser extensions. 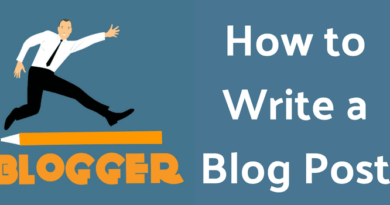 It is best suited to writers who are working online such as bloggers and article writers. Because it works in a browser extension, it works seamlessly with blogging platform editors like WordPress. As I am writing this article, Grammarly is running and helping me make corrections as I write. The little red and yellow Grammarly icons in the bottom right corner of my editor screen feel like they are part of WordPress. Yes, I know. I have 24 errors yet to correct. I’ll get to them before I publish, I promise. If you need to know more, read our full review of Grammarly for much more information about its features. Yes, I have the Hemingway app in my bookmarks and use it from time to time. It is a quick little tool that gives you some handy information such as reading level and reading time. But as a writing checker or text editor, Hemingway is extremely limited and offers little to help you check your writing. The biggest downside is that you cannot save or export your work. There are a lot of other choices when it comes to free writing checkers. You can read our recent article listing 13 free writing checkers that you can try. Most of them offer more and much better options. I highlight my text when I’ve finished with Hemmingway and copy/paste it back to my work, so all the changes I’ve made are saved that way.